New York, NY: HarperPerennial, 1997. Text/Near New w/faint margin discoloration, and closed tears to lower edge of first & second title pages & pg 72, and paper clip shadow to pg 11. 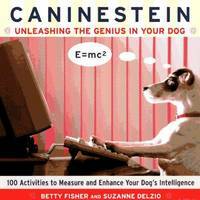 A book dedicated to greater enjoyment of your best friend, and to promote a more challenging a life to them. Strong copy despite flaws.. First Edition, First Printing. Soft Cover. Very Good/None as Issued. Illus. by Lou Powers (Illustrations). Neptune City, NJ: T F H Publications, 1960. TFH No. M-506. Text/BRAND NEW. Illustrated soft cover/NF; Strong & sound w/light edge & surface rubs, and showing discoloration. Guide to dietary requirements of parrots & techniques for taming and training. Diseases and ailments covered in a special chapter. Co-authors Henry (Hanj) Bates and Robert (Bob) Busenbark are founders of The Palos Verdes Bird Farm in Walteria, California.. First Thus. Soft Cover. Near Fine/None as Issued. New York, NY: Howell Book House, 1997. BRAND NEW Copy. Pet care for the rat, a docile and affectionate creature. Text in 12 chapters grouped into 4 parts. 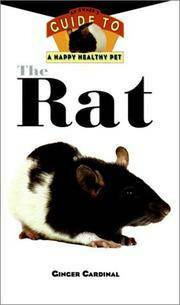 The chapters are: 1, The History of the Rat; 2, Rats as Pets; 3, Rat Varieties; 4, Selecting Your Rat; 5, Housing Your Rat; 6, Feeding Your Rat; 7, Keeping Your Rat Healthy; 8, Understanding Your Rat; 9, Training Tips & Tricks; 10, Showing Your Rat; 11, Recommended Reading; and, 12, Resources.. First Edition, 6th Printing. Hard Cover. Fine/None as Issued. Illus. by Jeff Yesh (Illustrator). New York, NY: Sterling Publishing, 1960. Text/Bright, clean, As New. Illustrated (collie) gray linen boards/Fine. DJ/VG; nips, chips, creasings & closed tears to leading edges, small losses to upper/lower spine, and surface rubs. Upper corner of fEP clipped. Guide to some 120 recognized American Kennel Club Breeds. Text, augmented by b/w & color photos, discusses size, color, physical characteristics, breeding history, and temperament.. First Edition, First Thus. Hard Cover. Near Fine/Very Good. Blacklick, Ohio, U.S.A.: McGraw-Hill, 1986. Text/As New. Illustrated soft cover/NF. 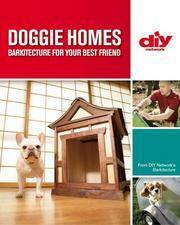 Resource/reference assembled by the collaborative team of animal-lovers/journalists who authored The Ultimate Dog Catalog. Text laid out alphabetically, commencing with adoption, air transport and allegery proofing through vetinary specialists and worm control.. First Edition, First Printing. Soft Cover. Near Fine/None as Issued.